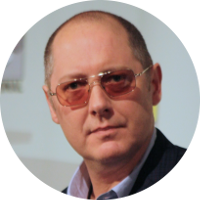 James Spader is an American television and movie actor. A couple of his most memorable roles are as attorney Alan Shore in The Practice and its spin-off Boston Legal, and as master criminal Raymond Reddington in The Blacklist. He has been nominated for numerous acting awards and has won three Primetime Emmy Awards for Outstanding Lead Actor in a Drama Series. Among James Spader's most notable kin is his 3rd great-grandfather, Laurent Clerc. Laurent was one of the founders of the American School for the Deaf. It was the first school for the deaf in North America and it remains as the oldest existing school. James Spader also has a number of U.S. Presidents in his family tree including Franklin Pierce, Ulysses S. Grant, Calvin Coolidge, James Garfield, Grover Cleveland, Millard Fillmore, Gerald Ford, and both Presidents Bush. James Spader has kinship to more than a few historical legends including Revolutionary War hero Ethan Allen, Johnny Appleseed, gunfighter Wild Bill Hickok, abolitionist John Brown, poet Robert Frost, and aviation pioneers Orville and Wilbur Wright. His fellow celebrities that he can call kin include actress Lucille Ball, actor Anthony Perkins, Christian pop singer Amy Grant, actor Ed Helms, actress Jodie Foster, model Kate Upton, actor Mark Wahlberg, and Green Bay quarterback Aaron Rodgers.